Eating and drinking is a delight in Tomar. The city and surrounding areas are well served of interesting hotels and restaurants that cater for its local residents and the many visitors that arrive here from all over Portugal and overseas. The historic city centre comes to life at night when families, couples and small groups congregate in the Praça da República and the surrounding streets to enjoy an early evening stroll before moving on to one of the many eateries. 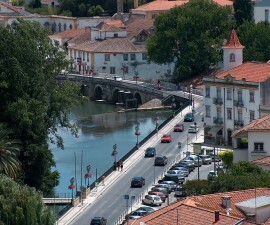 Restaurants in Tomar mostly serve regional Portuguese dishes and there are some delicious examples to be tried. Cod, pork and beef feature strongly on most menus along with rice dishes and tasty fresh salads. Some restaurants stick to the basics and make a perfectly good job of it. 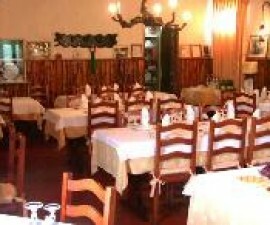 But restaurants in Tomar also include a number of excellent establishments that succeed in putting their own unique twist on some of Portugal’s most traditional fare. Probably the most famous of these is the Chico Elias. 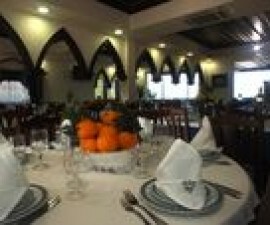 Not just a popular restaurant amongst the townspeople and the many tourists who come to marvel at the city’s historic Christian monuments, it has become a destination in its own right for a high profile clientele who make the trip from Lisbon, Oporto and the far corners of Portugal to sample its dishes. Try the slow roasted rabbit stuffed with pumpkin, eel fricassee or snail feijoada and you will not be disappointed. 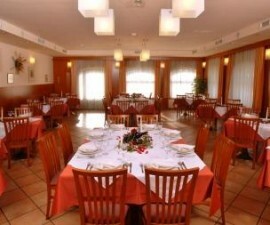 O Tabuleiro, just off the Praça da República, serves good, hearty traditional home cooking. The service is very friendly and the prices surprisingly low. It is worth a visit all year round but is particularly pleasant in the summer when diners can eat outside at one of the pavement tables and enjoy watching the world go by against the backdrop of the famous São João Baptista church and the Convento de Cristo beyond. For a quiet meal for two there are plenty of options. Try the cosy Casinha D'Avó Bia for tasty dishes with a modern touch and an international flavour. 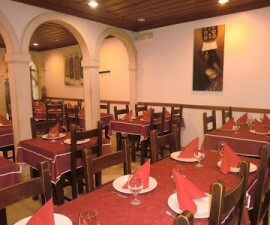 There are some lovely restaurants in Tomar’s outlying areas. The style remains focused on traditional regional cookery with an added rustic feel. Try A Lúria, high in the hills above the nearby lake for baked goat, hearty giblet rice and the famous Fatias de Tomar, or Slices of Tomar dessert. A popular dish in Portugal for celebrations and Sunday family gatherings is suckling pig and there are plenty of restaurants offering this as a speciality. O Pote dos Leitões is the current favourite amongst those in the know and is well worth the trip out of town into the lovely countryside to give it a try. Whatever your tastes and budget, Tomar offers some excellent dining experiences that are sure to leave you clamouring for more.